Smaller size with large organizational benefits. 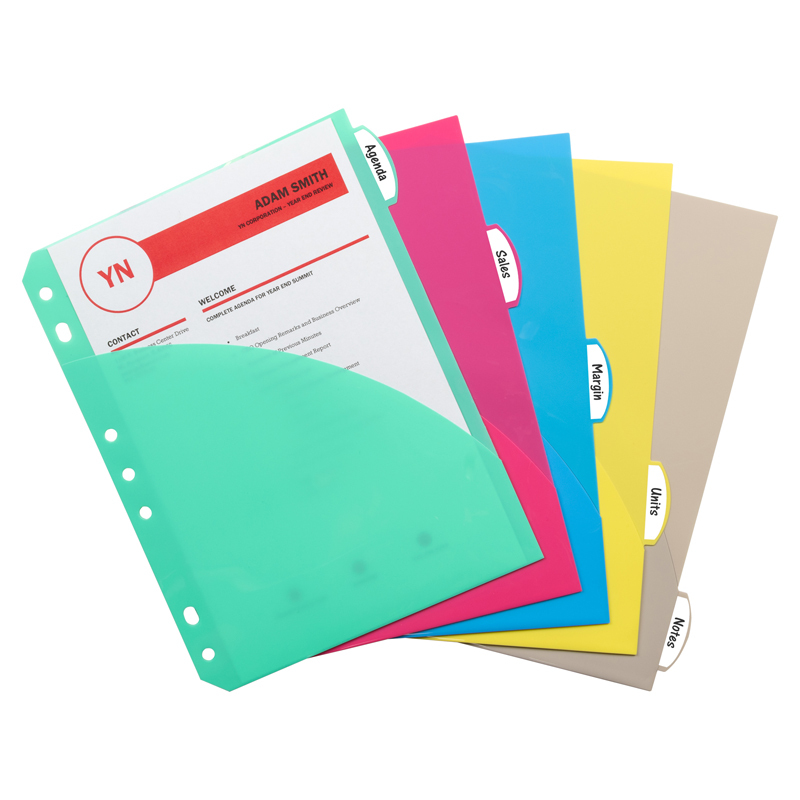 Tabbed index dividers organize your binder instantly. Made from durable, heavyweight polypropylene. Includes double-sided, easy-load slant pockets to allow for extra storage of documents and media. Dividers are universally punched to fit in standard 5 1/2 x 8 1/2, 6 x 9 and 8 1/2 x 11 binders. Assorted colors include blue, clear, pink, smoke and aqua.